Designed by Mike Roberts of Headland Bay Boats in Brisbane, Australia. This is the Eve (short for “Evolution”) 16, a strip plank bottom and glued lapstrake sides, based on the same designers Green Island 15 Stitch and Glue version. Sail area is a gunter rig of about 106 sq. ft. Andala is very enjoyable and comfortable to sail and will ghost along in 5-10 kts. But the best fun is when it’s 10-15 kts. I originally purchased a 3.5 hp outboard for the boat which I intend to replace with a small electric trolling motor if at all. The boat is perfect for 2-3 adults. 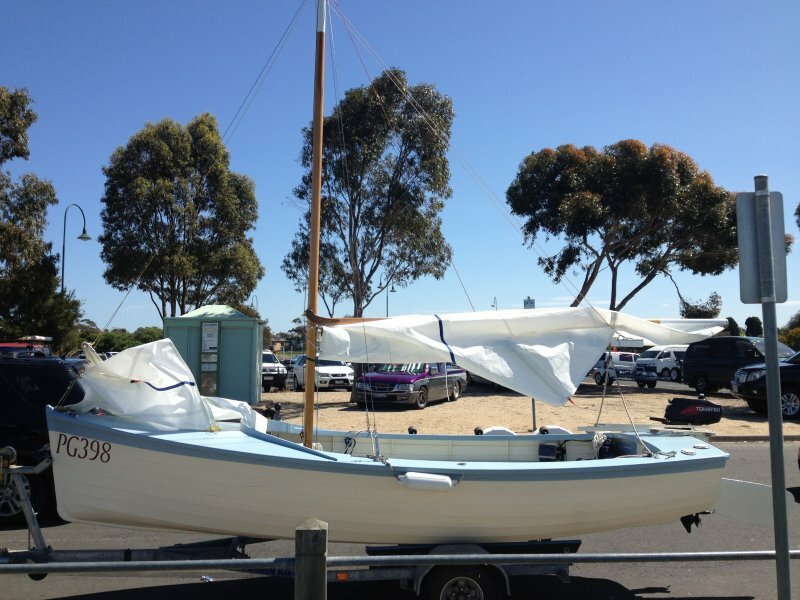 It also has four internal water ballast tanks either side of the centreboard case that hold approximately 50 lt. of water which I use if sailing solo or if the wind is strong. 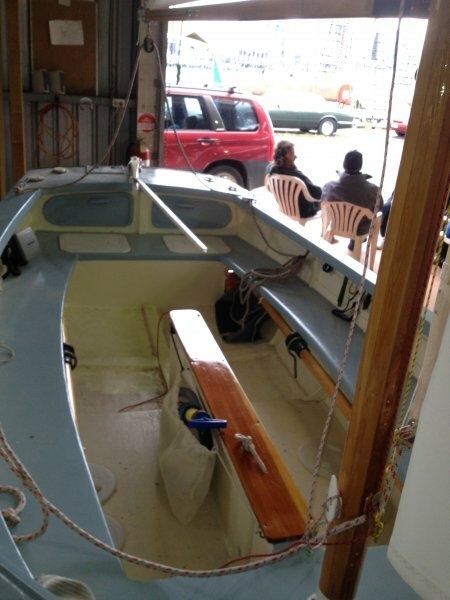 The hull, mast, spar and boom of this boat was built by Ross Lillistone of Bayside Boats also in Brisbane. 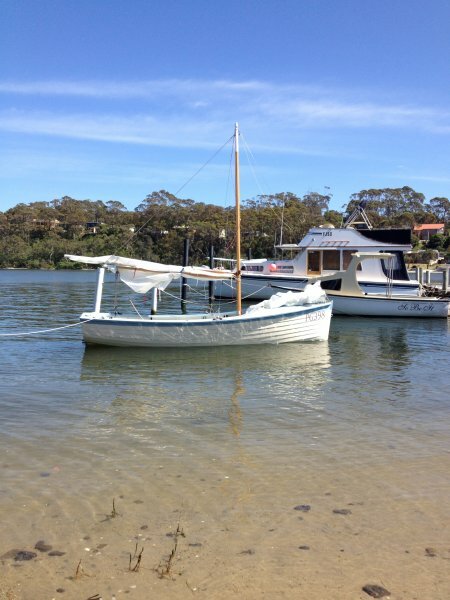 The boat was completed by the original owner and found its way to Movie World on the Gold Coast, south of Brisbane, where it was used as a lifeboat in the film Nim’s Island. Jodie Foster rowed the boat in the film. The boat was eventually sold to an electrician who worked at Movie World whom I then purchased the boat from at the end of 2011. Andala was relaunched in late 2012 in Port Phillip Bay, Melbourne, where I now live. 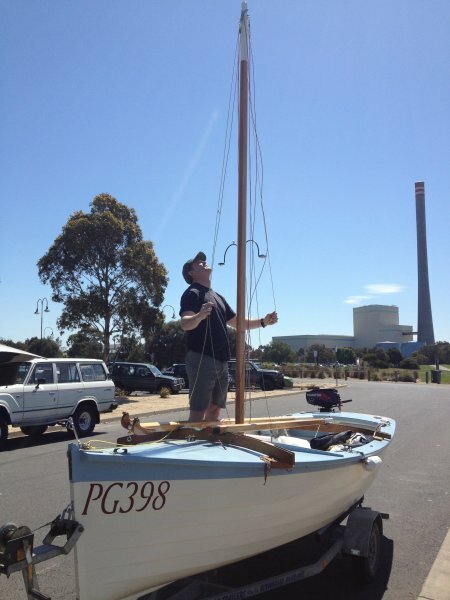 I was assisted by a range of people in refurbishing the boat, including Ross, Mike and the Wooden Boat Centre in Docklands, Melbourne. Many thanks to them for the help.